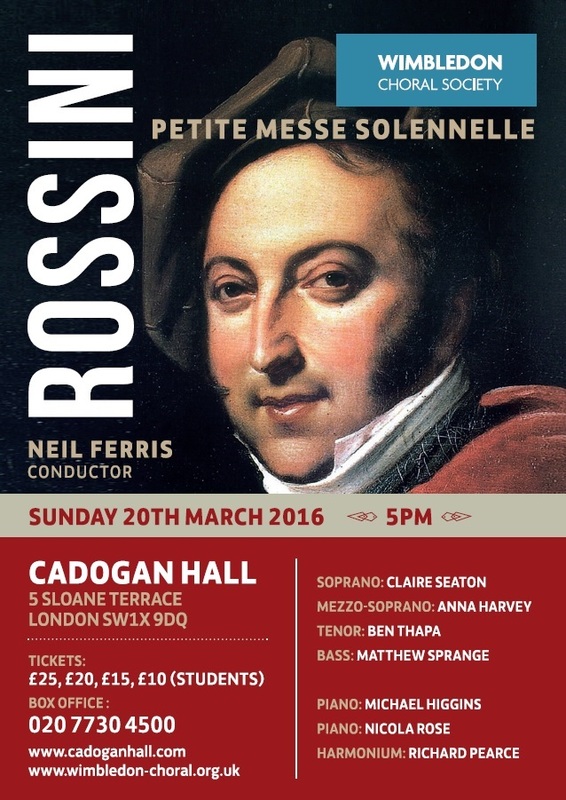 A long-awaited return to the wonderful Cadogan Hall. 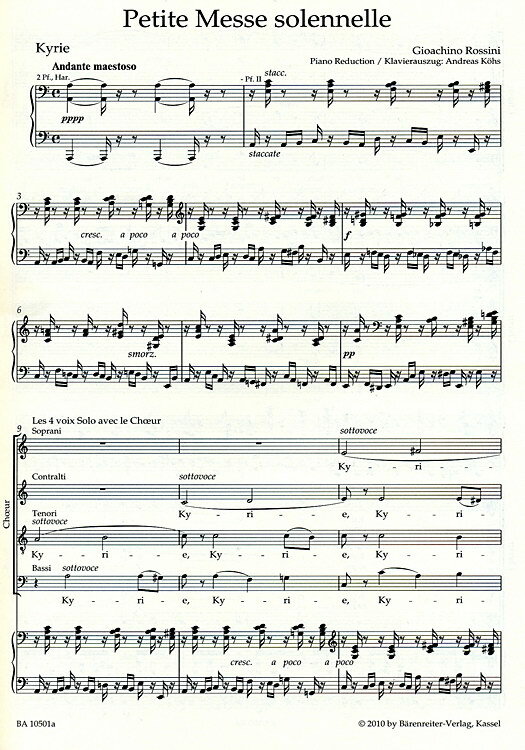 Written in 1863, the Petite Messe Solennelle is actually neither small (performances last about 80 minutes) nor solemn nor particularly liturgical and the witty composer was at odds to know whether to refer to it as "la musique sacrée" (blest music) or merely as "la sacré musique" (some blessed music)! 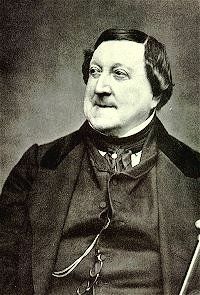 It was scored originally for 12 singers, or as Rossini put it "three sexes, men, women and castrati will suffice for its execution: that is, eight for the choir, four soloists, in all twelve cherubim". WCS's performance will keep the four soloists and up the main choir ranks to about 150. We're not planning on including (let alone finding) any castrati. Scored for two pianos and a harmonium, the version that WCS will be using, it has become a core member of the choral repertoire and is popular amongst choirs and audience alike with its not so subtle hints of opera writing intertwined with beautifully crafted solo arias. Written to mark the dedication of the private chapel of Louise, Comtesse de Pillet-Will, this small three keyboard version is the one most often performed, although Rossini re-scored it four years later for full orchestra for fear that someone else might accomplish the task if he did not. Sadly he died before hearing it in its full orchestral version.